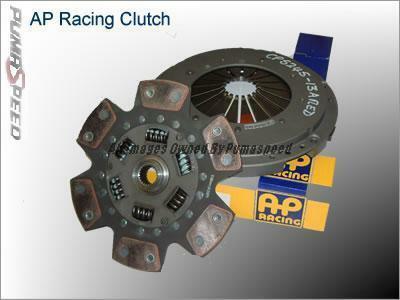 Uprated cover and plate developed by AP Racing for competition and track day applications . As used in our own 400 bhp Demo Focus RS. Note: There is a required 500 mile break-in period with this clutch. The Pumaspeed Workshop team are ready to fit the Focus RS Mk1 AP Racing 6 Paddle Clutch Kit in our Head Office located here. Therefore making parts and labour a total cost £1,352.99 (inc. VAT). Pumaspeed have a specialist distribution team that can dispatch the Focus RS Mk1 AP Racing 6 Paddle Clutch Kit to any destination worldwide.